The Peace Mala is a beautiful symbol of the many aspects of the Divine. Its simplicity and elegance suggests a way which goes beyond tolerance towards a celebration of, and a respect for the many paths of faith. When Beth Nielsen Chapman went looking for an album containing the Latin hymns she remembered from her childhood, she was surprised to find there wasn't one. That realization led to Hymns, a collection that recreates the majesty and spirituality that once echoed through Catholic cathedrals all over the world. "I grew up with these Latin songs," the acclaimed singer-songwriter recalls. "When I was a child, this was the songbook for Mass every week and I always loved the mystery and sacred tone of them. I felt it was important to put a collection of these beautiful hymns out into the world. I think the experience of the sound and vibrations of these songs will resonate with people regardless of their spiritual path." The Catholic Mass is generally no longer sung in Latin. In an effort to modernize, the Church revamped its liturgy in the 1960s, often substituting newly written 'folk' songs of praise for 'Adoramus Te', 'Veni, Veni Emmanuel', 'Dona Nobis Pachem' and the other ancient Latin hymns. Beth Nielsen Chapman believes something was lost then. "As I began to record this record so many things just fell into place and I started to feel that this was not really about me as an artist doing my renditions of these songs. In fact, when I sang them, I wanted nothing to get in the way of the inherent eloquence of these hymns. I tried to let them speak for themselves, downplaying the character of my voice and singing as purely as possible, almost anonymously." But her name resonates powerfully with music lovers. Beth Nielsen Chapman was a regular on the Adult-Contemporary popularity charts in the 1990s with such tunes as 'The Moment You Were Mine', 'Walk My Way' and 'I Keep Coming Back to You'. In 2000, she appeared on the soundtrack of the Ashley Judd film Where the Heart Is with 'Shake My Soul', which became yet another A/C hit. In the summer of 2004, her single 'Free' went to No. 1 on the BBC-Radio 2 chart, leading to her third U.K. concert tour of the year. She also has a large following in Japan, Ireland and elsewhere. Stateside, her CDs Beth Nielsen Chapman (1990), You Hold the Key (1993), Sand and Water (1997), Greatest Hits (1997), Deeper Still (2002) and Look (2004) have earned her wide acclaim and a devoted following. Such stars as Bonnie Raitt, Neil Diamond, Emmylou Harris, Michael McDonald, Bette Midler, Anne Murray, Amy Grant, Keb Mo, Roberta Flack and Brenda Lee have recorded Beth Nielsen Chapman songs. Her co-written, 'This Kiss', as recorded by Faith Hill, won ASCAP's 1999 Song of the Year award and was nominated for a Grammy. The country music hits 'Happy Girl' (Martina McBride), 'Nothing I Can Do About it Now' (Willie Nelson), 'Strong Enough to Bend' (Tanya Tucker), 'All the Reasons Why' (Highway 101), 'Here We Are' (Alabama), 'Five Minutes' (Lorrie Morgan), 'Almost Home' (Mary Chapin Carpenter) and 'Down on My Knees' (Trisha Yearwood) are all from the Beth Nielsen Chapman songbook. Elton John popularized her ballad 'Sand and Water' during his 1997 world tour. The soundtracks of such films as 'The Rookie', 'Practical Magic', 'Calendar Girls', 'We Were Soldiers' and 'Message in a Bottle' included her songs. So have the television series 'Dawson's Creek', 'ER', 'Touched by an Angel', 'Providence' and 'Felicity'. 'All I Have' became familiar to millions as the recurring love theme on NBC's 'Days of Our Lives'. She also wrote and performed for the animated television film 'Annabelle's Wish'. "My success as a songwriter has provided me the opportunity to have a lot of freedom as an artist," she comments. "Because of it, I haven't had the pressure of having to 'make it' on the charts. I've always been really grateful that I can make whatever kind of record I want." 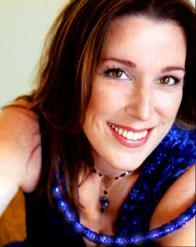 Beth Nielsen Chapman has been on a path rich with many musical influences throughout her life. As an 'Air Force brat', she was brought up on military bases from New England to Germany. Music was her source of stability from a very early age. Adept on guitar and piano, she began performing as a teenager in Montgomery, Alabama. She signed her first song-publishing contract in 1979, then recorded 'Hearing It First' as her debut LP in 1980. "I never went to college. I forgot. I was going to college, and then I got a gig. Then I got a publishing deal. Then I got married. Then I had a kid. Then one day I looked up and went, 'Oops, I didn't go to college.'" Husband Ernest Chapman suggested a move from Mobile to Nashville, TN so that she could pursue music with more intensity. She signed a second song-writing contract in 1985 and by the end of the decade was regularly providing hits to others. Ernest died of cancer in 1994. Beth worked through her grief by creating ever more emotionally profound songs, one of which was 'Sand and Water'. Then she was diagnosed with cancer, herself. "There is only one song on Hymns that I wrote, 'Hymn to Mary'. I wrote that when I was right in the middle of chemotherapy for breast cancer in 2000. As horrible as I felt, I would make myself go to the piano every day, turn on the tape recorder and plunk around for 10 minutes. Then I'd go back to lying on the couch, moaning. I did it because I had to keep my foot in the water: I was more afraid of losing my ability to write songs than anything. When I got my strength back, I listened to all those days of plunking and clinking. And there was this melody that was very special to me. A month or so later when my body was cleared of the chemotherapy I wrote the words, a prayer that came from the deepest place of reaching to Mary for faith in the midst of feeling abandoned." When she listens to Hymns, Beth Nielsen Chapman doesn't hear her soprano leads or her alto and tenor harmonies. She says she hears the tenor voice of her son, Ernest Chapman III, and the bass vocals of her father, Robert Nielsen. She hears the harmonies of songwriter friends Mike Reid and Pam Rose, the voice of Sweet Honey in the Rock's Ysaye Barnwell and the rumbling tones of famed Music City session vocalist Louis Nunley. She hears the echo of hundreds of years of worship. "When I put this on and hear my son and my father the experience is magical and very powerful for me, personally, because I've missed these songs since I was a little girl and I have wanted to hear them again for a long time." In 2002, Beth performed at a special anniversary commemoration of 9/11 that took place at the Washington Cathedral, where she had the opportunity to hear Archbishop Desmond Tutu, in his keynote address, speak profoundly about all of us being one human family. He was addressing leaders of several religions that were all present. The eloquence of his talk so moved Beth that it caused her to re-commit to finishing a larger project that had been occupying her, on and off, for nearly a decade. The songwriter had been slowly assembling World Hymns, a collection that will be devotionals from Buddhist, Jewish, Sufi, Muslim, Shaker, Hindu, Protestant and other religious traditions. Through a personal friend Beth met with the Archbishop, presenting him with the Latin Hymns as well as a sampling of World Hymns, both of which he referred to as "a glorious, melodious testimony." "I've always had this belief that diversity of faith is like the brilliant scattering of light shining through the angles of a diamond. Even as it appears fragmented, it is all borne of the same source of light and each of us have an equal right to define and celebrate this beauty and sureness of the love of God in our lives. I have always wanted to use my voice like a thread winding through the many languages of these songs of devotion. It is only natural that I start with the songs of my spiritual roots." 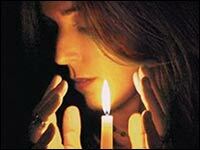 Beth Nielsen Chapman's Hymns CD arrives at a time when interest in its themes is surging. Mel Gibson's film The Passion of the Christ and the hit novel The DaVinci Code (also soon to be a movie) are two manifestations of this. There are 72 million Catholics in the United States, many of whom still miss the Latin Mass. Every city in the country has a Catholic bookstore. Worldwide, more than one billion Catholics will recognize the melodies she has collected here. "But I really think that Hymns could have a pretty broad appeal," says Beth Nielsen Chapman, "the landscape of sound is very meditative and the pull of this music like that of all forms of sacred music, reaches through to the heart and soul." When Pam Evans first made contact with Beth Nielsen Chapman, she did not expect the immediate interest and support she received from her for the Peace Mala. Pam shared with Beth her plans for a future CD of music which will express the spirit of the Peace Mala's vision for the world. The music Pam selected for the launch of the Peace Mala, in the Temple of Peace in Cardiff, stimulated interest with many present who asked afterwards if there would ever be a CD of the music. Since the launch, Pam, who is an experienced Jazz/Blues singer, has been 'collecting' tracks that she feels will best celebrate the vision of the Peace Mala. Beth expressed immediate interest and said that she would love to be part of the Peace Mala CD. "I have seen a few compilations of various artists from different religions performing. It's always very effective. Music knows no boundaries." Pam agrees and says, "Music is the language of the soul. The music for the CD will be taken from diverse spiritual paths. There will also be secular music that I feel has a spiritual quality. The power, beauty and vision of this music will be a celebration of life and will express the unity of the human spirit. This is a project that will need careful working on and will be guided by the power of prayer. I hope that Beth will join me on this journey as I approach various artists for their permission to be included."